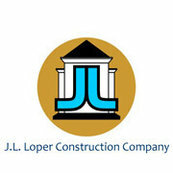 21 Reviews for JL Loper Construction Company, Inc. Such an awesome building experience.... contrary to my expectations this whole process was extremely pleasant and without stress! Chad does an amazing job and in the most efficient way which was very important to us! Will definitely refer to fiends and family! Excellent Builder - Has great ideas and easy to work with. I have used Loper Construction multiple times over the years.